Liquefied Natural Gas (LNG) carrier vessels have successfully used boil-off gas as a source of fuel for a long time. Now comes a recently patented technology that could potentially employ boil-off gas for usage as a fuel practical regarding LNG Articulated Tug Barge (ATB) units. The Seattle-based Elliott Bay Design Group (EBDG), a company specialized in the field of naval architectural and marine engineering has reported that the New Canaan -based Moran Towing Corporation, has received U.S. Patent 8,967,174 regarding Articulated conduit systems and uses thereof for fuel gas transfer between a tug and barge. EBDG commented that the above-mentioned patent was filed on May 2nd of last year in full accordance with the U.S. Patent and Trademark Office. It describes the methods and arrangements necessary for the successful transfer operation of boil-off gas between a tug and a LNG tank barge, while also accounting for the relative motion that is present between the two respective vessels. 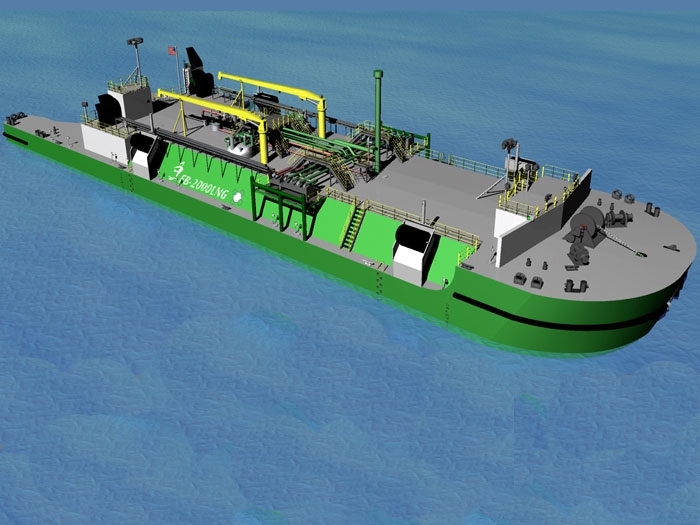 EBDG has managed to come up with a number of different LNG ATB design models for the purposes of the inland as well as that of the coastal markets. “This current design serves as a representation of the advances we have accomplished in the field of natural gas fuel transfer technology and also as a demonstration of EBDG’s as well as Moran’s dedicated efforts towards the emerging maritime LNG transport industry. It also is the materialization of the theoretical concept of employing natural gas as a source of fuel between a tug vessel and a barge,” commented Curt Leffers, who is PE, EBDG Project Manager and is also among the inventors that were listed on the above-stated patent. The system’s development was the product of a co-op effort that took place in a time period of approximately one year and involved teams from Moran as well as from EBDG.